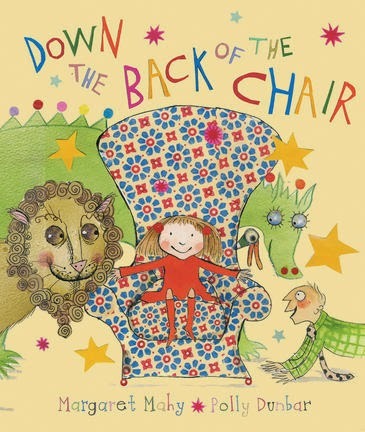 Down the Back of the Chair - Margaret Mahy A book that will become a classic in years to come. Dad loses his car keys and looks everywhere. Mary the toddler thinks that he's lost it down the back of the chair. So off he goes, but he doesn't find his keys, instead he pulls out dragons, pirates and much more. Are his keys actually back there? 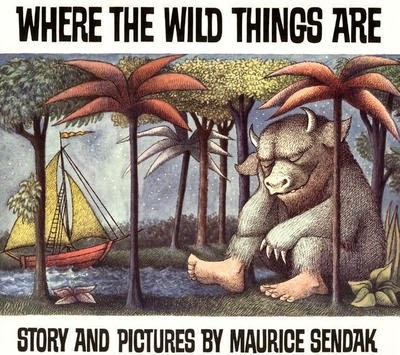 Where the Wild Things Are - Maurice Sendak This one is a classic and about a boy who is sent to his room for bad behaviour. He starts imaging that his room is a dark forest, then he's off on a ship. Not too long, and he's at a land where Wild Things live. Will he get eaten, or will he tame them? 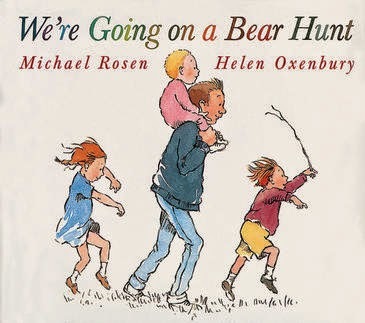 A family go on an imaginary bear hunt. They go through wavy grass, oozy mud and all sorts. It's a long journey and the family are getting tired, until they come upon a cave. What will it contain? Reading these books may result in a larger vocabulary, increased imagination and a love of reading. Please keep in reach of children.